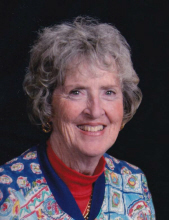 Mrs. Pat Callagy, age 77, of Alton, Iowa, passed away on Saturday, February 2, 2019, at the Orange City Area Health System in Orange City, Iowa. There will be a celebration of life on Monday, February 11, at 11:00am, at the Trinity Reformed Church in Orange City. The Rev. Robert De Boer will officiate. There will be a graveside service for family and close friends, on Monday, February 25, at 10:00am, at the Greenlawn Cemetery in Bakersfield, California. Following the committal service, there will be a celebration of life at 11:00am, at the Resurrection Church River Campus, in Bakersfield. Arrangements are with the Oolman Funeral Home in Orange City and the Greenlawn Funeral Home in Bakersfield. Pat was born on September 29, 1941, in Bisbee, Arizona, the daughter of Henry and Jane (Michael) Garnett. She was raised in Bakersfield, where she met and married Michael James Callagy, on August 12, 1978. Together, the couple operated Cornerstone Engineering, Inc., in Bakersfield, where Pat was the Chief Financial Officer. She and Mike also ministered to other married couples in the area. Pat participated in several women’s ministries, was an expert seamstress, and enjoyed traveling. In 2008, they moved to Alton, and became members of the Trinity Reformed Church, where she was involved in women’s ministries and continued to enjoy traveling. Survivors include her husband of more than forty years; four children, Laurie, and her husband, Jamie Furlong, of Orange City; Dale Clark, and his wife, Michelle, of Carlsbad, California; Brian Callagy, and his wife, Andrea, of Bakersfield; and Aimee Shephard, of Bakersfield; nine grandchildren, Kelly, Jenna, Conner, Raven, Miracle, Harmonie, Phoenix, Tory, and Lauren; four great-grandchildren, Eden, Oliver, Isaac, and Nathanial; her mother, Jane Garnett; and two brothers and a sister, Michael Garnett, Linda Kirk, and Henry Garnett. She was preceded in death by her father, Henry Garnett. In lieu of flowers memorials may be directed to the Genesis House, Post Office Box 262, Orange City, Iowa 51041, www.genesishouseiowa.org. To send flowers or a remembrance gift to the family of Pat G. Callagy, please visit our Tribute Store. "Email Address" would like to share the life celebration of Pat G. Callagy. Click on the "link" to go to share a favorite memory or leave a condolence message for the family.